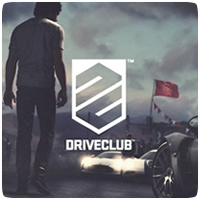 DRIVECLUB is releasing on the PS4 in October 8th 2014, and will be coming to the Instant Game Collection in a limited form. The PlayStation Plus edition of the game will essentially be a extended demo of the game, with the option for gamers to upgrade to the full version. The PlayStation Plus Edition of the game will include one location (India), 11 tracks, 10 cars and access to all game modes. In comparison, the fill game includes five locations, 55 tracks, 50 cars and 50 tour events. You can purchase a one-time upgrade for €49.99/$49.99/£42.99 to the full version, which will continue to work even when your PlayStation Plus subscription expires. It’s basically just a glorified demo of the game to please PlayStation Plus subscribers.